Once you are done stacking up your food and drinks for a trip ahead, you are all good to go. 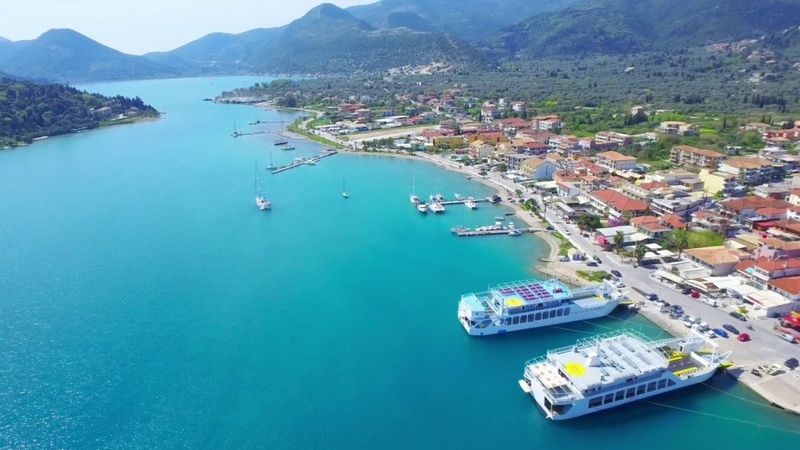 Start sailing slowly south to Nidri - the distance is, approximately, 10 miles - while still enjoying the natural beauty of Lefkas. The ornithologist in you will be delighted - the birdlife here is represented by many different species, including hard to spot pelicans. Once in Nidri, be prepared to lose yourself in tourist crowds, that come here every summer. Alternatively, you can escape the usual buzz of the city, and have a calm dinner somewhere on the beach, while soaking in an incredible sunset. 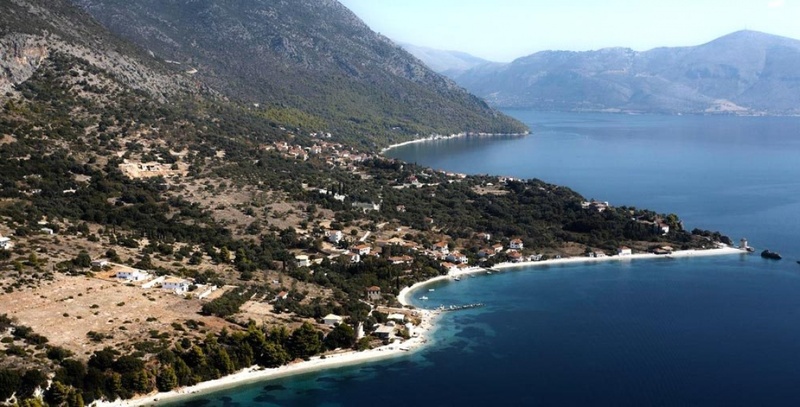 Today you’re going to sail 15 south east, to reach a beautiful island of Kalamos. 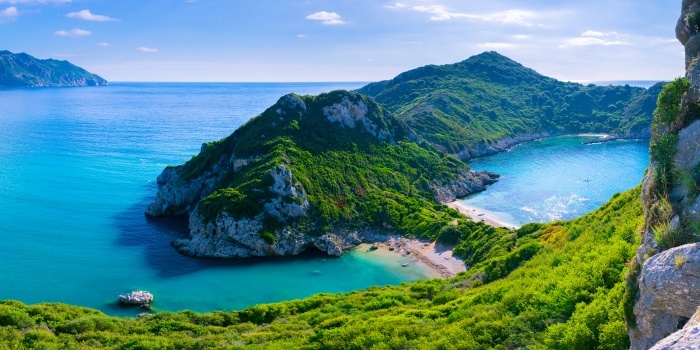 Half way there though, you’d have a chance to enjoy a refreshing swim in the clear waters of Ionian sea - right next to the island of Skorpios. Just be sure not to go to the mainland - the Scorpion island is private, and trespassing is not what you want to mix yourself in right in the middle of your vacation. 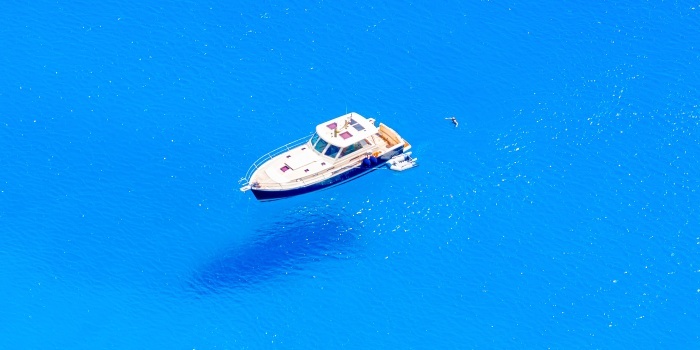 There is a small bay where you can drop your anchor though - just ask your captain or skipper, they’d know for sure. Once done with swimming, it’s time to go straight to Kalamos, where you will enjoy a pretty busy shoreline, covered with different shops, restaurants and cafes. If you want more of Kalamos, you can visit the city center, located on the top of the local hill. This vantage point would be perfect for your evening dinner - there is no such a thing as a bland sunset in Greece. Ithaca needs no introduction - if you have ever heard about Odysseus, you know where we are going. The first thing you see here are three stone windmills, that are probably much older than you are. Green hills and traditional Greek whitewashed houses are a nice addition to the overall vista, that would act as a perfect backdrop for your next Instagram vacation selfie. Ithaca is not a very busy town, so we’d advise you to take some time for yourself, and spend three - four hours exploring winding streets. This place is perfect for relaxing and admiring the true spirit of ancient Greece, that is still very present inside the cobblestone of Ithaca’s streets. Kafalonia would be next in your destination list. This place is also very popular among foreign tourists, so be ready to encounter a lot of traffic on the streets. The trip here is very much worth it though - the views are amazing, and we can bet there’s not another place in the whole world that would provide you with a tranquility and beauty this place does. You’d be able to find plenty of gift shops, cafes and family restaurants in the area. 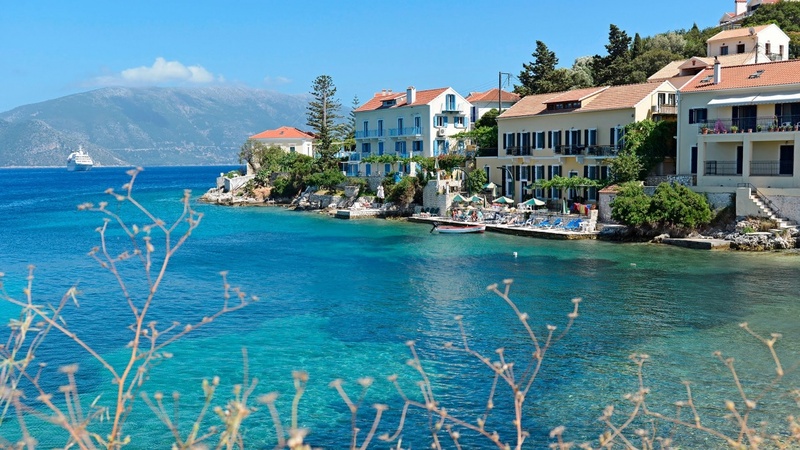 Just relax, socialise, have some fun and lose yourself in the general excitement on the streets of Fiskardo. If you are desperately trying to avoid crowds though, we strongly suggest to take a hike to the nearby forest, that would eventually lead you to an old Venetian lighthouse - another landmark in the area. Just ten miles north lies Mourtos - another picturesque island. Besides your usual cafes, beaches and restaurants, this place is also very famous for its windsurfing scene. The food here is remarkable as well, especially if we are talking about local bakeries - nothing beats the smell of fresh bread in a small family restaurant, while you are waiting for your breakfast to be served. As for windsurfing, you can always rent an equipment right there on the beach, or even ask somebody to help you our with some basics for a small price - the choice is yours, depending on your will and skills. Time to go back to Lefkada. 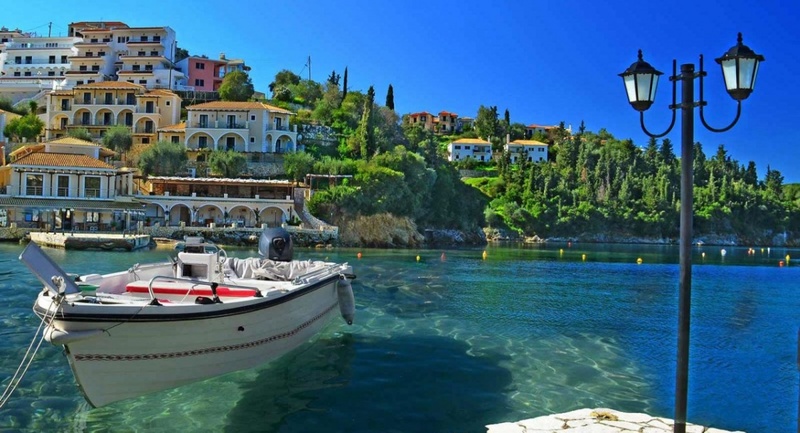 But before you do, you have a great chance to visit a nearby island of Meganisi, and its main town Spartachori. 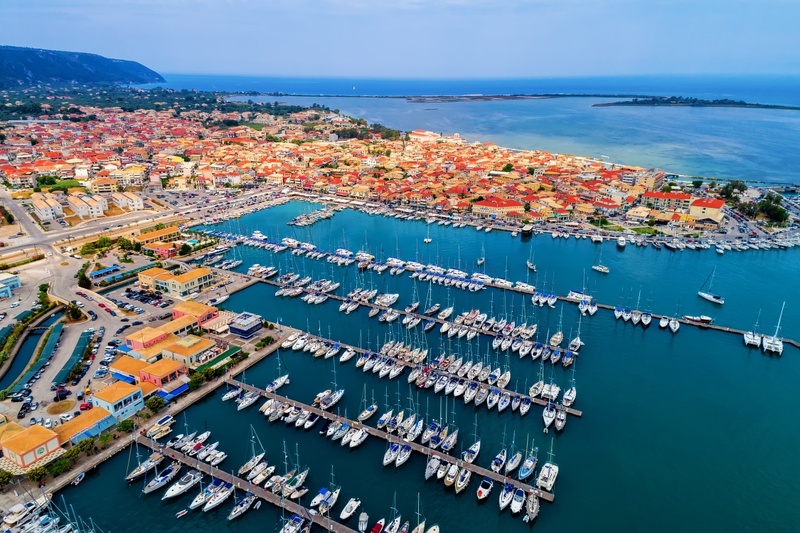 This is a small, very friendly town, with lots of cafes and tavernas around - both in the city center and along the shoreline. Your usual whitewashed stone houses are mixed with the green of vines and blue of roofs. Buy some souvenirs, chat with locals, enjoy the cuisine, and make this trip the one to remember. 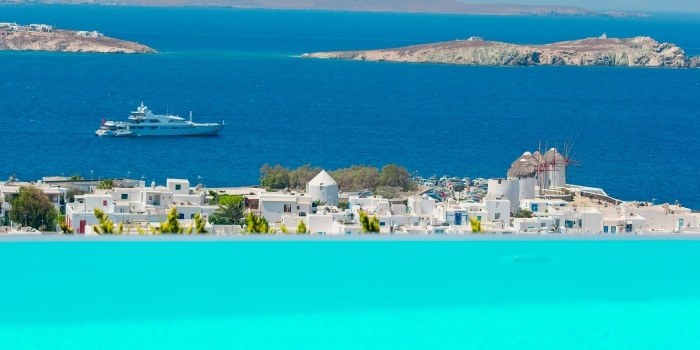 Stay tuned for our future marine itineraries in Greece. Until next time!